Canada’s existing oil pipeline and railway capacity is enough to support oil sands current exports but with little extra room for logistic constraints. 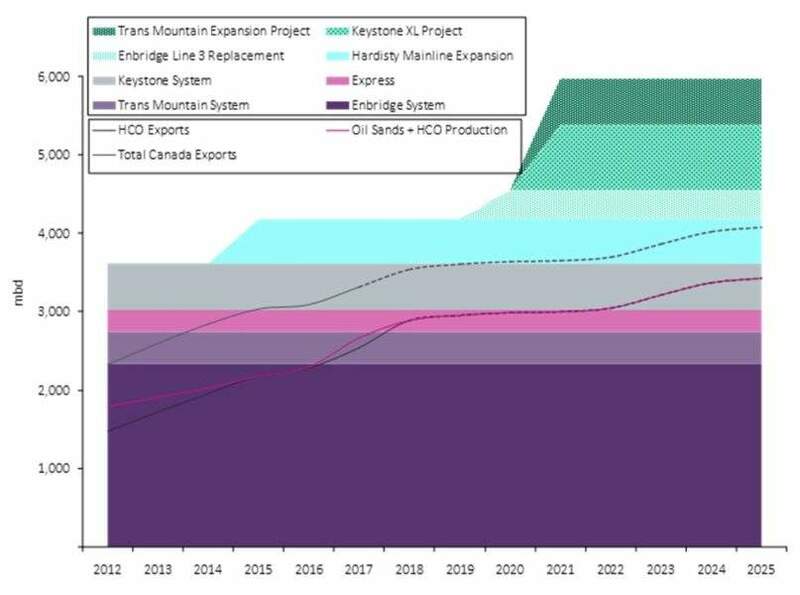 At the moment there are at least three announced pipeline projects, the Trans Mountain expansion project adding 590 thousand barrels per day (mbd) of capacity, the Enbridge Line 3 replacement adding 370mbd of capacity and the Keystone XL project adding 830mbd of capacity. These three projects will serve different markets and hence can support the diversification of exports and better pricing of oil sands production. In fact, once in operation the total pipeline capacity will be at a surplus even in a high case scenario for oil sands in which production surpasses 4 million barrels per day (mmbd) by 2025. This additional takeaway capacity will certainly provide the flexibility to minimise the pricing impact of any transportation bottlenecks. Since 2015 the volume of oil sands exports to the US Gulf Coast has been growing in average at approximately 100mbd every year replacing Latin American exports of heavy crude grades. However the Canadian quality benchmark price for oil sands production, the West Canadian Select, still carries a larger discount when compared to the Maya crude grade that is also exported to the US Gulf Coast. Moving ahead with the 830mbd Keystone XL pipeline will certainly establish a better price formation for the increasing oil sands demand in the gulf coast. Securing access to US refining markets is just the easiest plan in the shorter term and diversifying to Asian markets seems a reasonable longer term strategy. 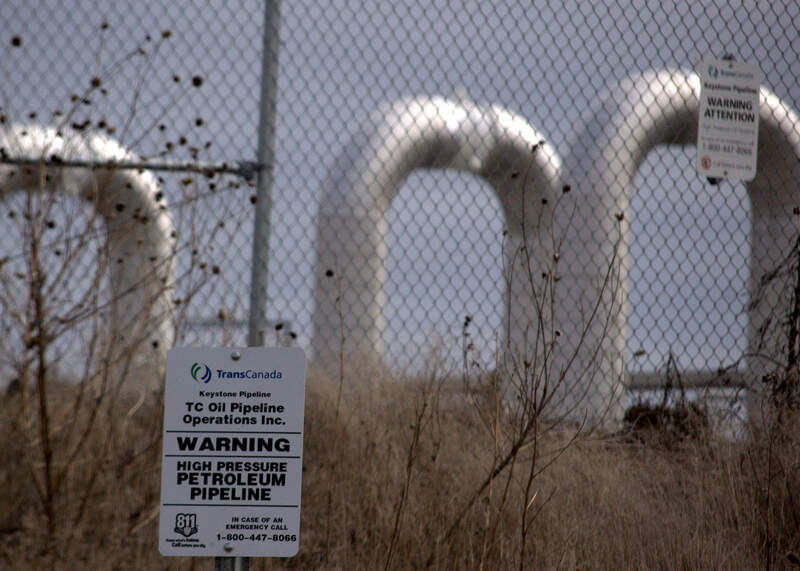 In spite of this strategic anticipation from both Canada’s government and oil sand operators, until the new pipeline capacity is built Alberta’s heavy crude oil production will remain subject to logistic constraints and relatively large price discounts.